For convenience and family-friendly hospitality near Altus Air Force Base, stay at the newly renovated Days Inn Altus hotel. Western Oklahoma State College, Quartz Mountain Aerospace and the Cancer Center of Southwest Oklahoma are nearby, as well as attractions like the Altus Speedway, Museum of the Western Prairie, Great Plains Stampede Rodeo, shops and restaurants. 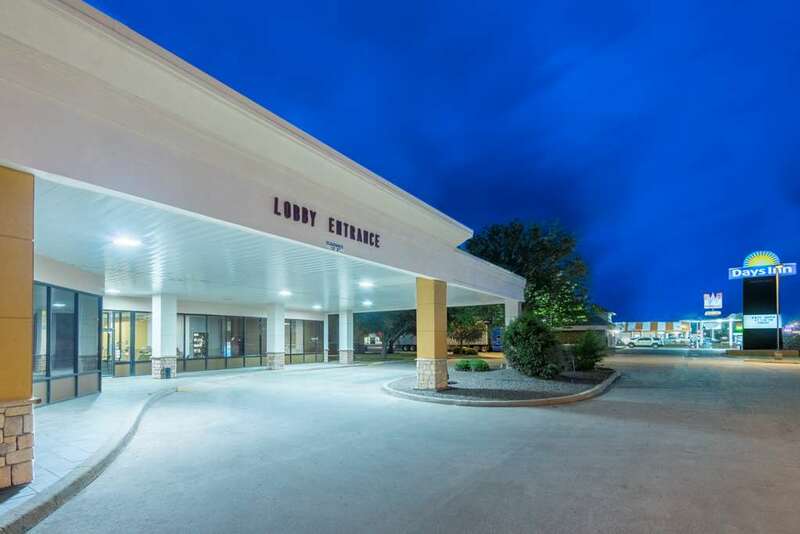 This lodging facility offers several amenities and services including complimentary hot breakfast, indoor and outdoor heated swimming pools, fitness room, hot tub, an onsite lounge and ample complimentary parking including parking for large vehicles. Meet with success or host a special event in 2,480 square feet of event space, to accommodate up to 50 people, and finish a presentation or print a document in the business center. Each guest room includes a flat screen HDTV, mini-refrigerator, microwave, and complimentary wireless internet access. Suites are also available at this hotel where pets are welcome for a nominal fee. The magical Stone -- sort of an ugly cylinder painted green -- is the cultural heart of the town of Shamrock.